The silicone polymer has a semi-organic and semi-inorganic polymer mechanism, and the polymer main chain is composed of a stable silicon-oxygen bond, and the side chain carries an organic group such as a methyl group, a phenyl group, a vinyl group or an alkoxy group, relative to the plastic substrate consisting mainly of organic polymers composed of carbon-carbon bonds, silicone polymer and plastic substrate polymer components are similar but not identical, therefore, the silicone polymer has both ‘uniform dispersion’ in the plastic component and is not ‘assimilated’ characteristics, and some silicone additives have an active crosslinkable reaction group. This special dispersion state and reaction function enables it to bring a series of beneficial effects such as improving the thermal, mechanical and dielectric properties of plastics. The silicone polymer chain is very compliant, has thermal stability and low surface energy, and thus can be used as a mold release machine in excellent heat resistance. Silicone molding compound based on silicone resin, silicone laminate and silicone foam, which have excellent moisture resistance, high temperature resistance and weathering resistance, excellent dielectric properties and the change in dielectric properties is small with changes in temperature and frequency. Silicone plastic is an irreplaceable special insulation material used under harsh conditions such as high temperature and high humidity. In short, whether as a main material or as an auxiliary agent, silicone has a wide application prospect in the field of plastic processing, and its functional role is remarkable. 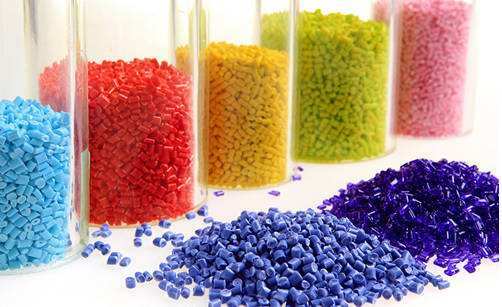 Scientifically apply silicone plastic processing additives will help improve the working conditions of plastic processing, while improving work efficiency and product quality. ●Adhesion promoter between polymer and filler. ●Crosslinker of silane crosslinked polyethylene. ●Wetting and dispersing agent and coupling agent for filler. ●Plastic physical and chemical performance improver.